White House Statement Warns Of 'Unusual And Extraordinary Threat' - What Do They Know That We Don't Know? Should This Ominous President Trump Tweet Indicate To Us That 'Time Is Short'? In this recent story from Mac Slavo over at SHTFPlan he warns that a recent tweet from President Donald Trump could be looked at as a warning to Americans that war may be coming soon. Thanking China and their President Xi for the efforts they've made for helping with North Korea, Trump warns of those efforts: "it has not worked out". With the US and China set to meet again as new activity is detected at a North Korean nuclear site, some experts warn that every day without a 'solution' to the North Korea problem is another day moving closer to what could be an absolutely devastating war with the complete destruction of Seoul, South Korea one unimaginable but very real possibility. With Kim Jong Un so afraid of assassination by US Navy SEALS that he only travels at night, the fact that a recent US Navy ballistic missile intercept failed off of the coast of Hawaii might be causing nightmares for some Hawaiians, especially considering Kim's recent threats that North Korea could nuke Hawaii. And with reports coming out last week that North Korea was only 'one step away' from launching a nuclear missile that could hit America while even the Wall Street Journal recently reported North Korea dreams of turning out the lights in America, the options President Trump faces on how to deal with the 'North Korea problem' are paved with peril. While the Washington Post asked in a recent story, "what did President Trump mean" by his recent tweet (seen via screenshot above), Vox was freaking out even more, reporting "Trump just sent a mystifying, disturbing tweet about North Korea" and "maybe the president shouldn't tweet vaguely threatening things about a nuclear power". The existence and risk of proliferation of weapons-usable fissile material on the Korean Peninsula and the actions and policies of the Government of North Korea continue to pose an unusual and extraordinary threat to the national security, foreign policy, and economy of the United States. For this reason, the national emergency declared in Executive Order 13466, expanded in scope in Executive Order 13551, addressed further in Executive Order 13570, further expanded in scope in Executive Order 13687, and under which additional steps were taken in Executive Order 13722 of March 15, 2016, and the measures taken to deal with that national emergency, must continue in effect beyond June 26, 2017. Therefore, in accordance with section 202(d) of the National Emergencies Act (50 U.S.C. 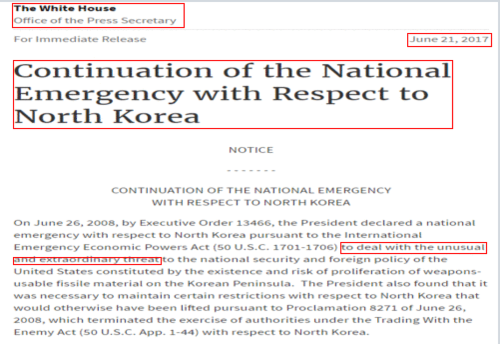 1622(d)), I am continuing for 1 year the national emergency with respect to North Korea declared in Executive Order 13466. This notice shall be published in the Federal Register and transmitted to the Congress. DONALD J. TRUMP THE WHITE HOUSE, June 21, 2017. And while this statement doesn't specifically address the exact reason that Kim's North Korea poses an 'unusual and extraordinary threat' to the United States, those who have been paying attention know that there is a very real chance that Kim and NKorea have two 'aces in the hole' that fly over the US several times every day in satellite's KMS 3-2 and KMS-4. 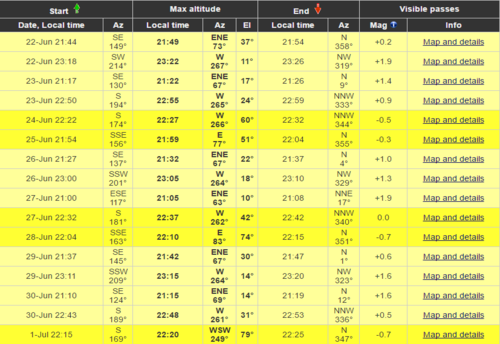 In the chart below you can see all of the passes that KMS-4 makes over the US over the next week+ into July 1st. We've reported on ANP about the potential EMP threat from North Korea for several years now, dating far back into the Obama administration, and while there are no clear answers why the 'North Korea problem' wasn't dealt with long ago, it's been warned that the globalists could be holding Kim's EMP's as an 'ace in the hole'. A card just waiting to be played upon America, and a 'card' that would give the globalists who benefit from it 'plausible deniability'. "Kim did it!" 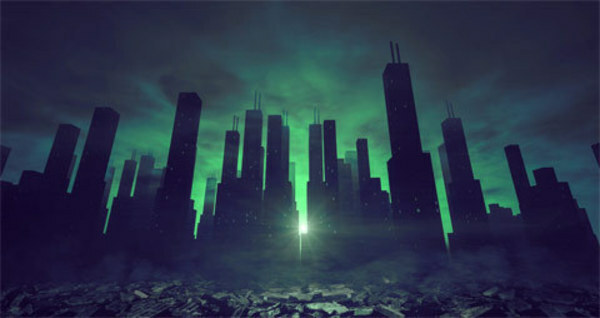 As Dr. Peter Vincent Pry previously reported in this story on ANP, should the US be attacked by EMP, up to or more than 90% of us could be dead within the following year to 18 months. And while North Korea's top envoy to India recently stated that North Korea is open to a moratorium on new nuclear tests, and would like to begin talks with the US 'under the right conditions', this story also reports why that's highly unlikely as 'the right conditions' begin with the US ending all military drills with South Korea, drills that have been going on routinely now for many years. As Slavo's story over at SHTFPlan continues, there’s a reason we’ve suggested that concerned Americans stock up on anti-radiation pills and CBRN rated Gas Masks and if President Trump’s latest tweet is any guide, then time is running short. A very real 'nightmare scenario' for America, even our Secretary of Defense warns of problems ahead. According to this June 13th story from NDTV, US Pentagon Chief General Jim Mattis told lawmakers last week he was shocked by the readiness of the US military, blaming legal budget caps and 16 years of constant war for the sad state the military was in. Warning also that North Korea was the 'most urgent' threat to international peace and the security of the US, 'Maddog' also helped to explain why war might NOT be the answer - it could quickly lead to devastation. "I retired from military service three months after sequestration took effect," Mattis, a former Marine general, told the House Armed Services Committee. "Four years later, I returned to the Department (of Defense), and I have been shocked by what I've seen about our readiness to fight... No enemy in the field has done more to harm the readiness of our military than sequestration." Ahead of the four-hour hearing, Mattis also warned that North Korea poses the most urgent threat to international peace and security, calling the regime's weapons program a "clear and present danger" to all. In written testimony, he said Pyongyang is increasing the pace and scope of its nuclear weapons program that leader Kim Jong-Un wants to be capable of delivering a bomb on the United States. But Mattis and his top military officer, General Joe Dunford, said any military action against North Korea would have disastrous consequences for the peninsula. "It would be a war like nothing we have seen since 1953," Mattis said about the end of the Korean War. With apparent terrorist supporters within the US Congress in Washington DC showing their true colors 'en masse' by neglecting to sign on to Tulsi Gabbard's "Stop Arming Terrorists" bill, thus seemingly proving their allegiance to arming the same ISIS terrorists who want to slaughter Americans and destroy our nation, we're not the least bit surprised that there are still 'enemies of America within', willing to do whatever they can to take down our nation. While for the first time in many years we actually found ourselves agreeing with Arizona Senator John McCain who claimed North Korean President Kim Jong Un should be held responsible for the murder of Otto Warmbier, we agree even more with President Trump who claimed former US President Barack Obama should have done much more much sooner to get Otto home than he did, sentiments agreed on by Otto's father Fred Warmbier. In fact, the entire situation happening in North Korea could be looked at from that standpoint: The 'North Korea problem' should have been dealt with much sooner rather than that 'can kicked down the road' as far as it has been. Now it's been dumped in President Trump's lap at a time even high-profile national security people are talking about the potential of a deranged Kim sending the US back to the dark ages, wiping out 90% of us or more in the process. If you asked the average person about what threat North Korea poses to the United States, they’ll probably respond with a blank stare. The few who happen to pay attention to the news, will likely mention North Korea’s nuclear program, as well as their efforts to develop long range ballistic missiles that could one day reach the United States. That’s pretty much all most Americans know about North Korea’s capabilities, because that’s all they hear about from the media. The truth however is much more frightening. There’s plenty of evidence to suggest that North Korea is either capable of, or is working on the ability to launch an EMP attack against the United States. Unlike the threat posed by a nuclear tipped missile, this wouldn’t just destroy a city or wipe out an overseas military base. It could destroy every city, and kill millions of people. Without a functional electrical grid, there’s simply no way that our society can feed and shelter the current population. However, it should be noted that while most Americans are totally unaware of this threat, people in high places are taking it very seriously. 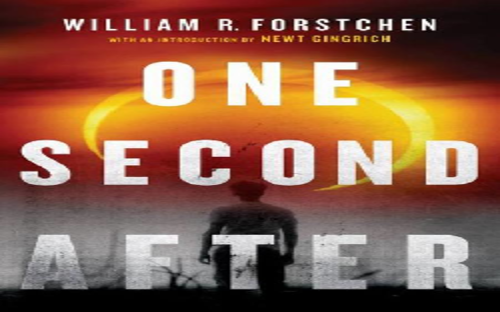 Earlier this month, a columnist for the Toronto Sun named Anthony Furey released a book that details the threat of an EMP attack, called Pulse Attack: The Real Story Behind the Secret Weapon That Can Destroy North America. He was recently interviewed by Breitbart, and revealed that powerful people in our government are discussing North Korea’s EMP capabilities. In the 2nd video below we hear a msm report from CBSNews who reports that as of this moment, diplomatic efforts at dealing with the 'North Korea problem' have failed and tensions continue to escalate there. In the 1st video below from Infowars we hear why bombing North Korea may be the last horrible option left for President Trump though we'll have to remind, we hope that if President Trump resorts to that action, he's also prepared to take down KMS 3-2 and KMS 3-4 before they're able to deliver their deadly payload. In the final video below, Dave with the X22Report also touches upon the North Korea situation, and their offer to end nuclear tests under the right circumstances, in a new video called "Brace Yourself, It's Going To Get A Lot Worse Before It Gets Better".